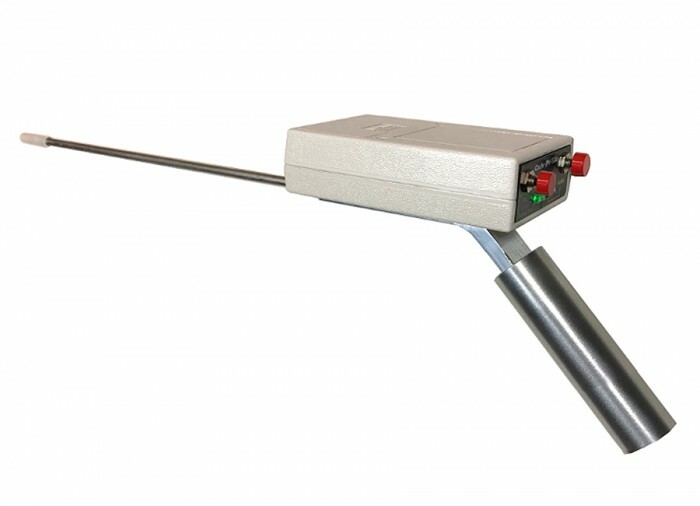 Metal detectors are notorious for poor pinpointing. Pin pointing the object before you dig means a smaller hole is needed because you know exactly where and how deep the coin or other valuable is located. Less time and less mess. Once you dig a hole, the soil is disturbed and you are more than likely to lose any coins that are laying close by. 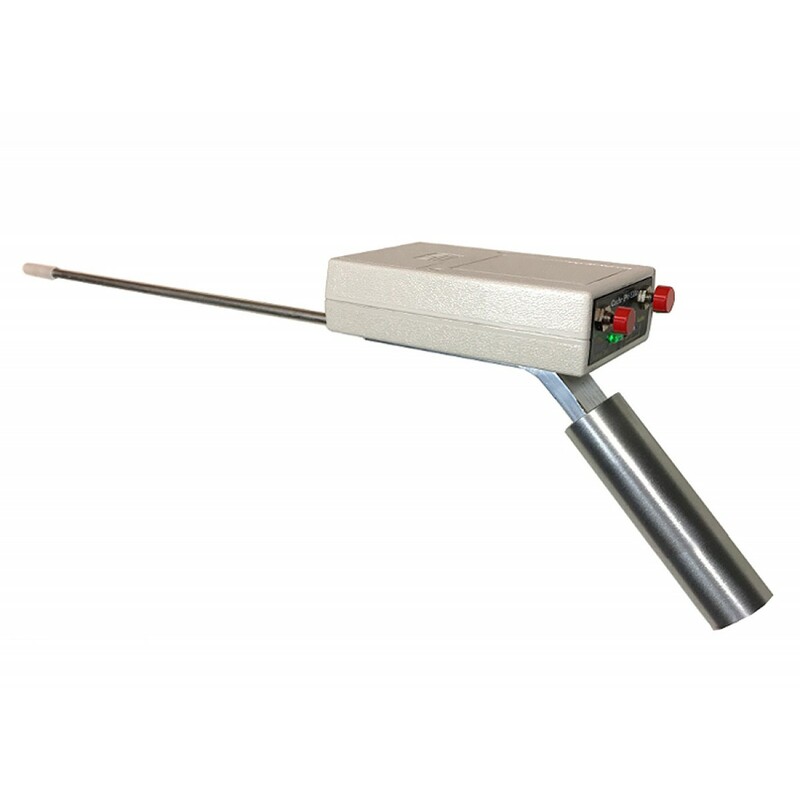 This pinpointer can then be used to scan through the loose soil from your dig. 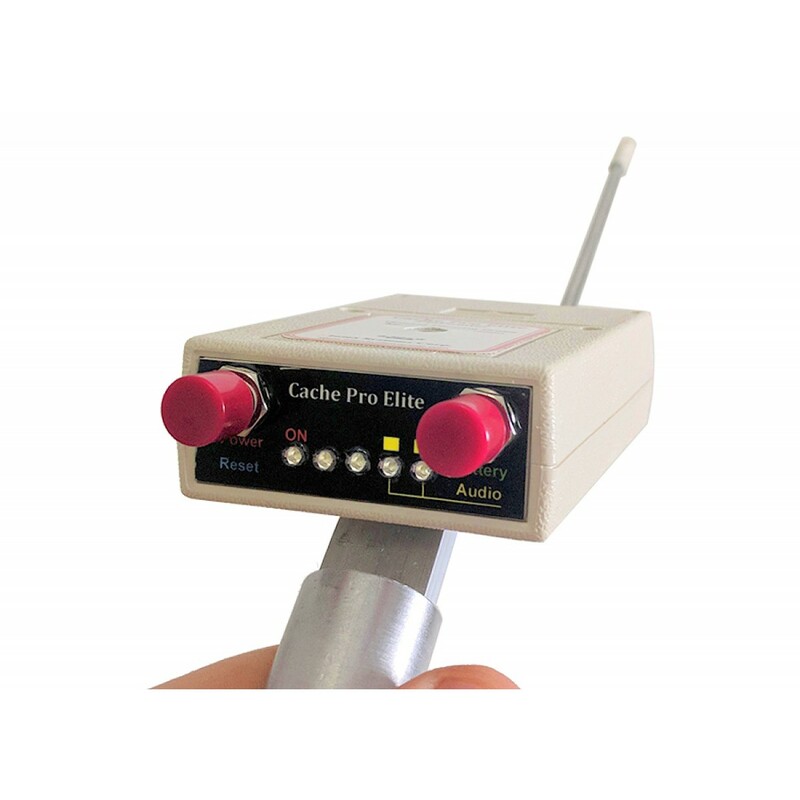 Superior improvement over previous Cache Probe models. 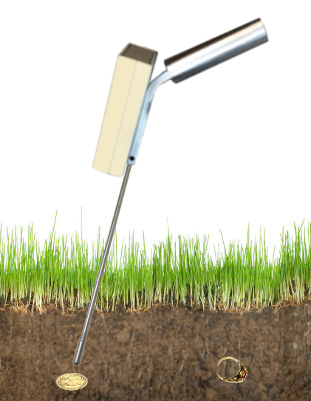 (1) Probe into the soil to pinpoint the buried object. (2) Also scan through any loose soil after the dig. 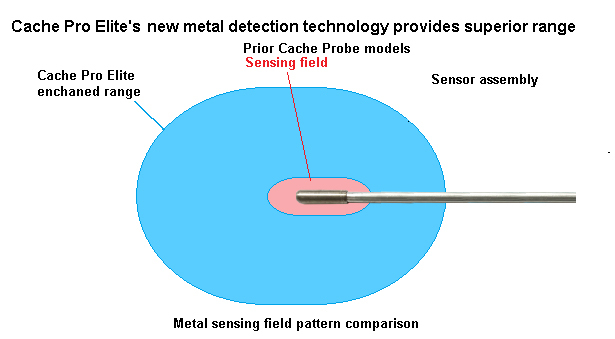 Metal detection range is optimized. Too little range makes location difficult while too much range actually degrades pin pointing ability, especially with multiple targets. 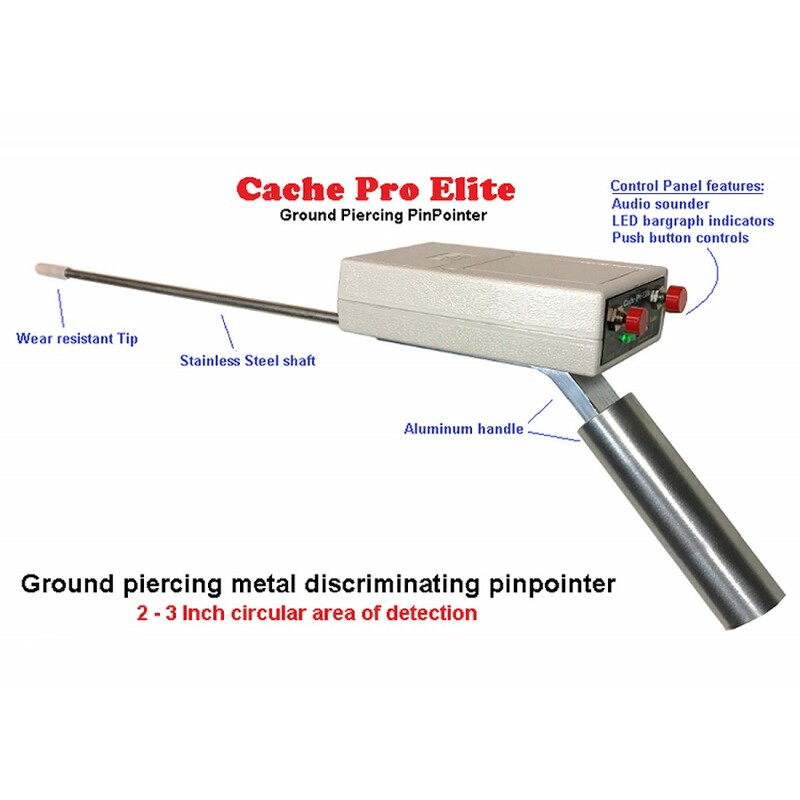 Why Use a Ground Piercing Pinpointer? (1) After the soil is disturbed from digging, the metal object is more difficult to find and in some cases lost. When you know exactly where the object is before you dig, you can retrieve it with less digging and disruption of the soil. More environmentally friendly. (2) You are less likely to damage a valuable find because you won't strike it with your digging tool. A valuable coin or ring when struck by your digging tool, means lost value. 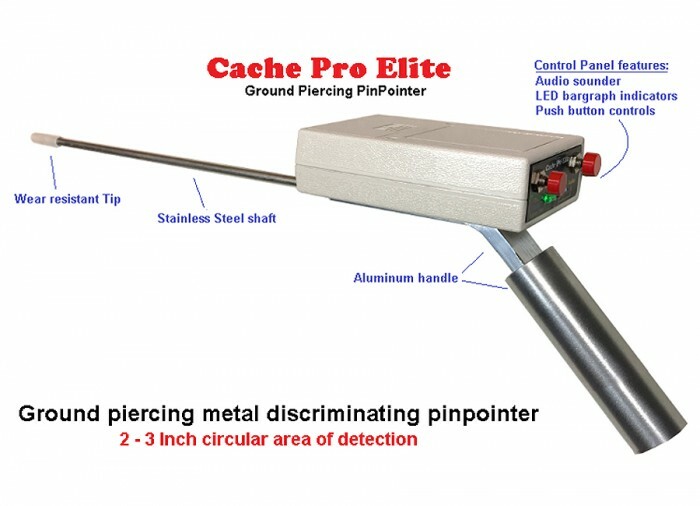 The Pinpointer is designed to allow you to pierce the soil and locate the exact location and depth of the coin, ring, or other valuable finds without the need to dig first. Other pinpointers require digging a big hole first, then stiffing through a pile of soil. If nothing is found, then the hole must be enlarged and repeat the entire process. 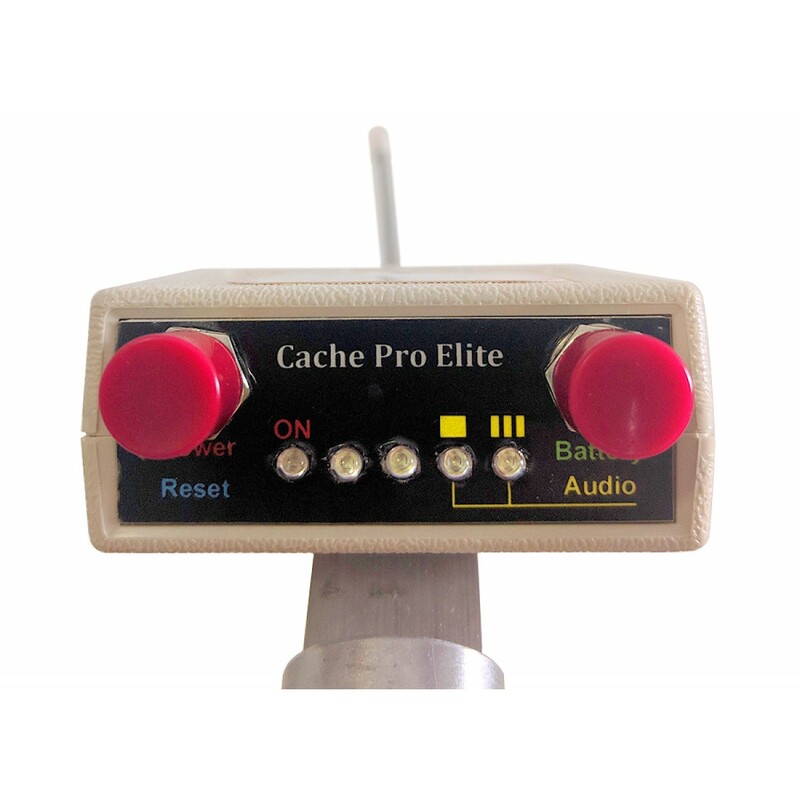 The Cache Pro-Elite eliminates all of this wasted time. 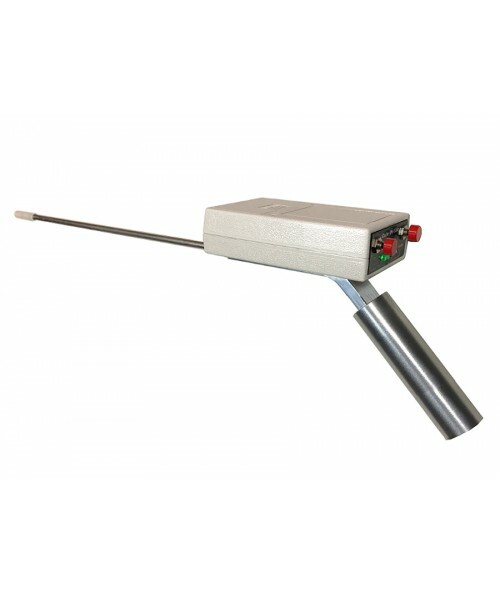 Your primary metal detector finds the general location of a buried object. 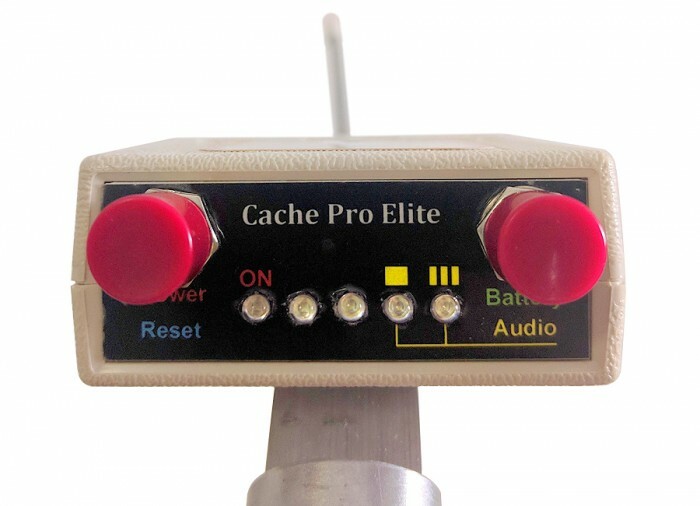 The Cache Pro Elite pinpoints the exact location and depth. Simply grab the shaft at the surface level and when you retract the probe, you know the exact location and depth. 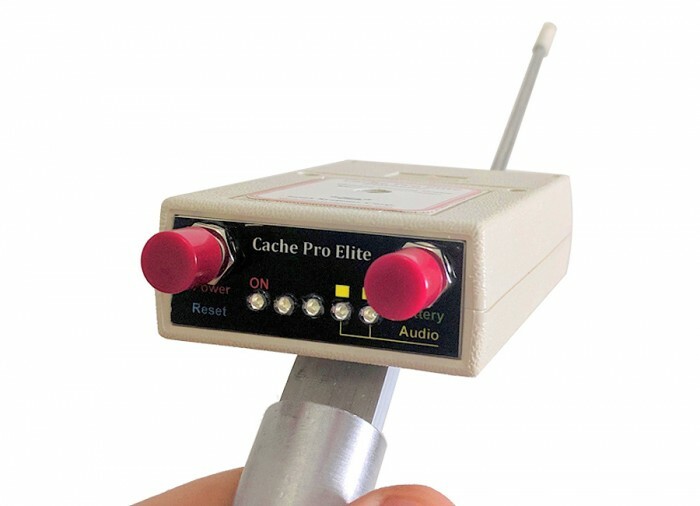 Operation: As the Probe Tip approaches the metal target, the audio sounder begins and the LEDs start to light in sequence. 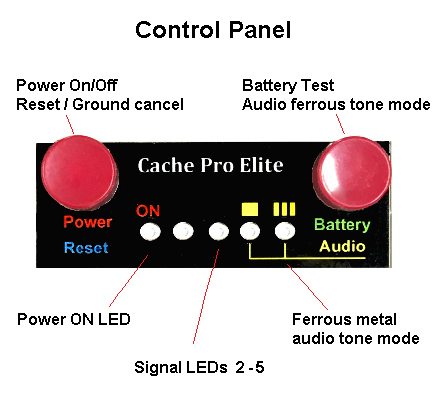 As the probe tip gets closer, the audio tone rises in frequency and LEDS continue to light in sequence. Ferrous metal will produce a "broken" tone or decrease in tone frequency, depending on the Mode you selected.